Seattle’s breweries are pushing the envelope when it comes to beer, injecting everything from tree sap to roasted insects into their brews. Here are some surprising ingredients going into your beers before they hit the tap. 1. Blood Orange in Elysian Brewing’s Superfuzz Pale Ale: Proving that style-bending beers aren’t just for small batch breweries or seasonal releases, Seattle powerhouse Elysian continues to churn out creative beers. Their Superfuzz Pale Ale is a staple at bars and clubs around Seattle and for good reason. This easy-drinking pale ale gets its bright hue, fruity nose and tart citrus flavor from blood oranges. This is as close as any beer will get to being a replacement for your Vitamin C supplements. 2. Habanero Peppers in Bad Jimmy’s Habanero Amber: Small brewery, big flavor. Bad Jimmy’s brewhouse exterior could easily be mistaken for someone’s garage, but your first sip of this spicy concoction leaves no doubt that they’re all business. You’ll think twice before calling ambers a dull beer again. 3. Birch Sap in Propolis Brewing’s Birch Saison: Some of the Pacific Northwest’s most creative libations are being brewed in a small town jutting off the north coast of Olympic National Park. Port Townsend’s Propolis Brewing brews two different seasonal beers every month. The Birch Saison, bottled this summer, is brewed with pilsner malt, spelt, aromatic Noble hops and birch sap. The result is a beer with citrus and melon aroma and a hint of residual sweetness from the birch sap, layered onto the earthy, spicy character of saison. 4. Brewhouse Micro-Fauna in Epic Ales’ Old Warehouse: Epic Ales head brewer Cody Morris has been serving up interesting ingredients like rooibos tea, chamomile and orange blossoms in his beer for quite a while. But it’s his Old Warehouse, a barrel-aged sour, that is his most unique work. It’s made using the live micro-organisms present in the brewhouse itself. These critters give this tart, wild ale a complex and evolving taste profile, which is then shuffled again by the mixing of young and old blends every six months, capturing what the brewery calls “the bizarre terrior of SoDo,” the Seattle neighborhood that his brewery calls home. 5. Roasted Crickets in Outlander Brewery’s Imperial Cricket Stout: Located in Seattle’s eccentric Fremont neighborhood, Outlander’s brewpub fits right in with constantly changing, one-off batches of eccentric ales. Szechuan peppers, peanut butter and horny goat weed are just some of the ingredients Outlander has served up. But the Imperial Cricket Stout (dubbed the “Jimminey Cricket”), brewed with hundreds of real crickets and served with an optional grilled cricket skewer, takes experimental to a new level. 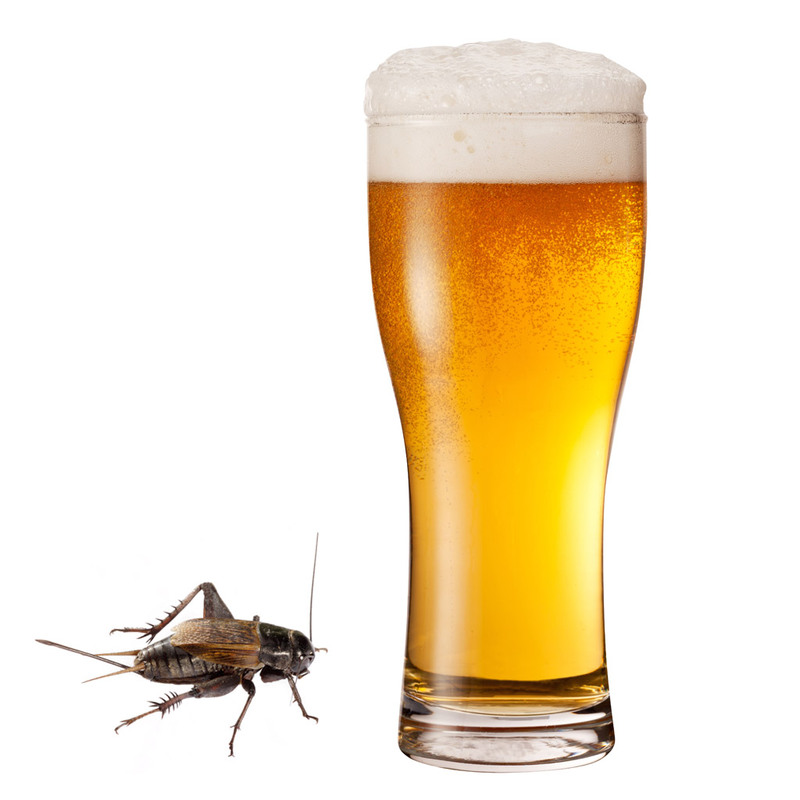 Though you won’t taste the crickets, squeamish drinkers will still be grateful that at 10% ABV this beer is boozy enough to make them forget about the bugs entirely.